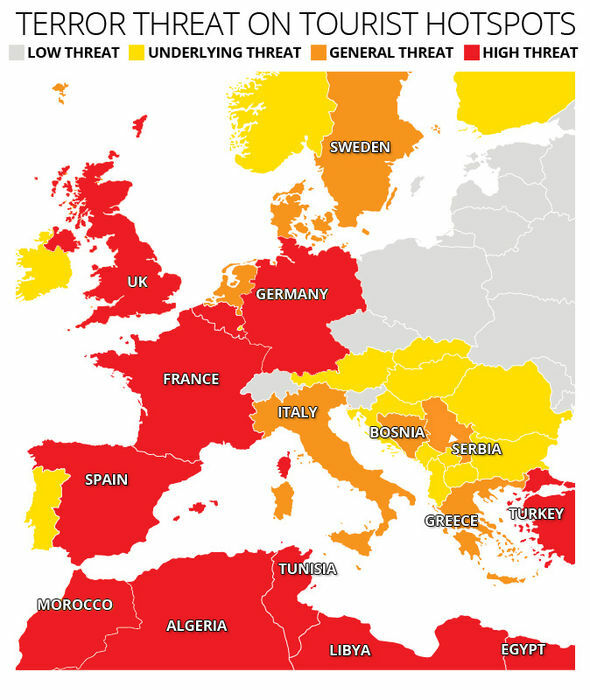 Holiday WARNING to Brits: Spain, France and ITALY named ISIS targets by intelligence head – Forza Nuova U.S.A.
ITALIAN intelligence chiefs are warning of summer terror planned for the beaches of Europe by Jihadists posing as ice cream and T-shirt sellers. Popular daily newspaper BILD said on Tuesday that the BND – Germany’s equivalent of MI6 – learned from its Italian counterpart of the Isis plots to bring bloodshed to holiday resorts. According to the report the Italians were informed of the terror plans from a credible source in Africa. They say the would-be killers had formed “concrete plans” to pose as refugees serving tourists with drinks and snacks or hawking beach accessories and T-shirts. BILD said the plans involve the use of automatic weapons on crowded waterfronts, suicide bombings and explosive devices buried in sand beneath sun loungers. Isis, which is squeezed financially as the international coalition ranged against it in the Middle East hampers its movement and military actions, is looking for more soft targets in the west and came up with the holiday bombing campaign. It could be a whole new dimension of terror. 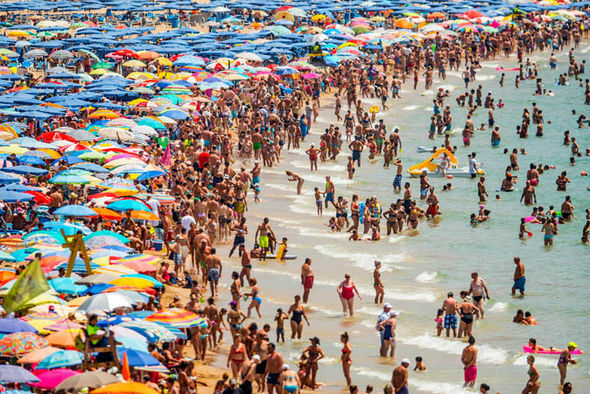 Holiday beaches cannot be protected. 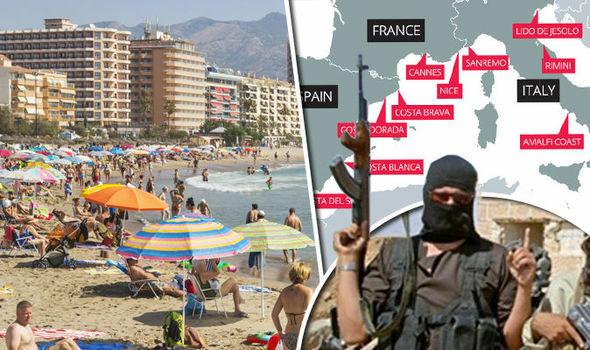 According to BILD the beaches which intelligence chiefs say are definitely targeted include resorts in southern France, the Costa del Sol in Spain and both coasts in Italy. 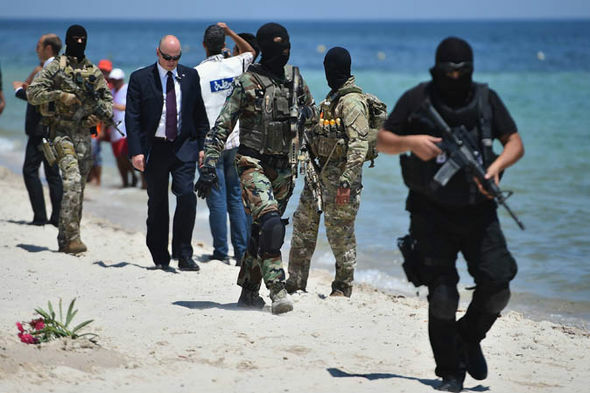 Last year 38 people, 30 of them British, died when a gunman opened fire on a beach in Tunisia. The threat stems from Boko Haram, the terror group from Nigeria which has allied itself with Isis and co-operates with the leadership at a high level. It is understood that regular African travelers to Europe, who so far have disguised their loyalty to the fanatics, will be activated for the murder campaign.